“You’re never fully dressed without a smile!” But what makes a smile such an important part of your appearance, or even your life? Research has shown that smiling has both chemical and social benefits that result in improved mood, health, and social interactions. Our Syracuse orthodontists are dedicated to helping you develop a smile of which you can be proud! When you smile, certain neurotransmitters are released by your brain. Dopamine, endorphins, and serotonin are among the most prevalent, released even by a fake smile. These neurotransmitters are known to reduce stress and relax your body. They also lower your heart rate and reduce blood pressure. In addition to the many benefits smiling has within your body, smiling also influences those around you. Multitudes of studies have shown that smiling causes people to be viewed as more attractive or competent. Additionally, certain research supports the claim that “smiling is contagious,” meaning that when you smile at someone, it takes conscious effort for them not to smile back. By smiling at others, not only do you improve your own mood and their perception of you, you also increase the likelihood of them smiling. As a result, they have more positive and happy thoughts produced in their brain while looking at you! 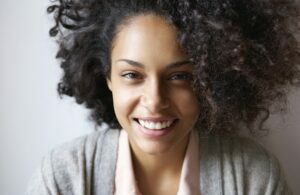 Even after learning the many benefits of smiling, people may be hesitant to show off their own smiles. Crooked, yellow, or missing teeth can shatter self-confidence and leave you too embarrassed to smile for pictures, social engagements, or even just yourself. CFSS understands the importance of a healthy and beautiful smile for both your oral, mental, and social health. Our Syracuse orthodontists offer braces, Invisalign, In-Ovation, and many other orthodontic treatment options. Together, we can develop a smile you want to show off. The smile of your dreams is within reach with a team of our expert orthodontists. If you are in search of braces or Invisalign in the Syracuse area, look no further. Contact our friendly staff or schedule an appointment online. We look forward to working with you! When deciding between braces and Invisalign, it can seem a little overwhelming choosing which orthodontic treatment is right for you. To help make this decision easier, it’s beneficial to understand the differences between traditional braces and clear braces like Invisalign, as well as some advantages and disadvantages of each. 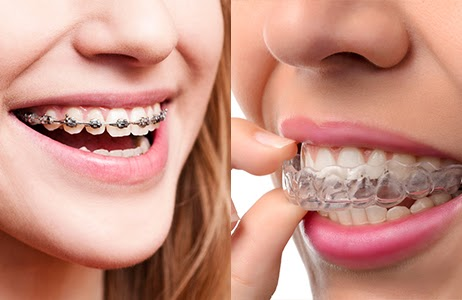 Traditional braces consist of metal brackets, which are bonded to the front of each tooth, and an archwire, which runs through the brackets and is held in place by small doors on the brackets. Throughout your braces treatment, your orthodontist will regularly change the archwires, the force of which gradually shifts your teeth into their new position. Traditional braces are often on the less expensive end compared to other forms of treatment, however, they tend to require extra care for the duration of treatment. Due to the metal brackets and wires, some patients experience discomfort, but this is often remedied using dental wax. Braces patients must also avoid eating certain types of foods that can cause damage to metal braces ― hard, sticky, and chewy foods are all off-limits during treatment. Special care must also be taken during brushing and flossing to ensure removal of any food particles and plaque from hard-to-reach places. Another popular choice among orthodontic patients is Invisalign. Invisalign is a clear aligner system consisting of a series of plastic trays. To create the aligner trays, an initial 3d scan is taken of the patient’s mouth, then, using special software, a series of trays is generated. Each tray in the series is worn for at least 22 hours per day for one week before moving to the next tray in the series. As you progress through the trays, your teeth are gradually shifted into their desired alignment. These aligners offer many advantages over traditional braces. Because they are made of smooth plastic, they are typically more comfortable to wear, and because they are removed for eating and brushing, you are able to enjoy the foods you always have and oral hygiene remains easy as ever ― just be careful not to misplace your aligner trays while they are removed! You may be surprised at how comparable in price Invisalign is to traditional metal braces. If you would like to learn more about braces or Invisalign, or simply have questions about orthodontic treatment in general, please contact one of our three CFSS Orthodontics office locations and we would be happy to help! You can also request an appointment online. We look forward to hearing from you! Here at CFSS Braces, we’re proud to offer a wide array of high-quality orthodontics, from our advanced Syracuse and Fayetteville Invisalign treatment to our time-tested and traditional braces. With the help of our orthodontic treatment, we’ll be able to help set you on the path toward a straighter smile – one of the greatest benefits that you can gain in your daily life. Why is having a straight smile so important, you may ask? We’ll be glad to tell you! The most obvious advantage of having straight teeth is that your smile will be more beautiful and aesthetically pleasing. When you have a great-looking smile, you’re more likely to feel confident in social and professional situations. Crooked teeth can cause speech impediments; with straight teeth, you’ll be more likely to speak clearly. When you have straight teeth, it’ll be easier for you to chew your food properly and maintain great nutrition. An added benefit of eating with straight teeth is that it’ll be much more difficult for food to get stuck between your teeth. Because it’s so much easier to keep your teeth clean, your oral hygiene will be improved and you’ll likely have a healthier mouth as well. Many oral infections can lead to systemic issues that harm the rest of your body; by keeping your mouth healthy, the rest of your body will have a much better chance of staying healthy as well. Protruding or crowded teeth are more likely to get damaged in an accident so by having straight teeth, you have a better chance of avoiding a tooth injury. Crooked teeth and bad bites can lead to other problems, such as uneven tooth wear, headaches, and TMJ (temporomandibular joint) problems. In the long run, having straight teeth can save you money as there will be less of a chance of developing dental problems in the future. Visit Your Orthodontist in Fayetteville and Syracuse! Interested in attaining a straighter smile? We encourage you to schedule an appointment with us for our orthodontics in Fayetteville, Fulton, and North Syracuse! To do so, feel free to give us a call at (315) 458-0020 or fill out our appointment request form. We can’t wait to see you and put you on the path toward a straighter smile! One of the more unfortunate things to talk about when it comes to a patient’s braces treatment is the potential for incurring mouth injuries. As your Fayetteville, Fulton, and Syracuse, NY orthodontists, we at CFSS Braces want you to have the most convenient and hassle-free orthodontic experience possible – but we know that sometimes accidents or injuries can occur. While we can’t stop all injuries from happening, we can still be there to help you in case the unfortunate does occur. There are two main types of mouth injuries that a person can suffer from while wearing braces – tissue damage and teeth injuries. This is actually a very common injury for patients who are wearing braces. It shouldn’t come as too much of a surprise either; after all, a patient wearing braces does have a mouthful of metal! If you get hit in the face (whether you’re playing sports or doing something else), the braces may sometimes cut your lips or your cheeks. Since there are plenty of blood vessels in the mouth, there may actually be a lot of bleeding, though this typically isn’t anything to worry about as long as the bleeding starts to lessen. Most tissue damage will heal on its own, but if there’s a large cut where the edges won’t come back together, you’ll likely need to get stitches. For most instances of tissue damage, the best option you’ll have is to just apply some ice to the area to reduce any swelling. These types of injuries are most likely to occur when you’re playing in contact sports or you suffer from a fall or hit to the face. Teeth injuries can include cracked teeth, chipped teeth, or even teeth that are jammed into your gums! You’ll want to go to the dentist as soon as possible unless you believe that heading to the emergency room is your best bet. If your tooth gets knocked out, go to the dentist immediately as the tooth may be able to be saved if you get there fast enough. Wearing braces will make these injuries more complicated as parts (or all) of them may need to be removed to treat your teeth. You’ll need to coordinate with both your dentist as well as your Fulton, Fayetteville, and Syracuse orthodontists to get your teeth fixed and repair or replace the wires and brackets of the braces. However, wearing braces isn’t always a bad thing if you’ve suffered from a tooth injury because in some cases, the braces may actually prevent your teeth from getting knocked out. We mentioned in both types of common mouth injuries that one of the most likely ways of acquiring these injuries was while playing sports. While there’s always the option to not play them during orthodontic treatment, our best recommendation for keeping your mouth safe is to simply wear an orthodontic mouthguard when you’re going to play sports. An orthodontic mouthguard will fit comfortably over your teeth and your braces to protect them both in case you get hit in the face or suffer some other kind of facial injury. As your Fayetteville, Fulton, and Syracuse orthodontists, we can provide these orthodontic mouthguards for patients who are interested in keeping their teeth and braces safe. Contact Your Fayetteville, Fulton, and Syracuse, NY Orthodontists! If you have any questions or you’re ever having trouble with your orthodontics, please don’t hesitate to give us a call at (315) 458-0020. We’ll be glad to help you in any way that we can. If you’re interested in scheduling an appointment for braces or you’d prefer our North Syracuse Invisalign treatment, we encourage you to come visit us by filling out our online appointment request form. We hope to help you through your orthodontic treatment as smoothly as possible! As most patients will agree – the most exciting part of the orthodontic treatment is finally getting to take the braces off. After all the hard work and commitment toward caring for your braces, your reward is getting to remove the braces and seeing the beautiful smile that your Fulton, Fayetteville, and Syracuse orthodontist crafted for you. Having said that, braces removal is actually a process of its own and we at CFSS Braces are glad to tell you more about it. You’ll be happy to hear that removing a patient’s braces isn’t that difficult at all. While the bond between the tooth and a bracket is strong enough to push a tooth into place during orthodontic treatment, it also allows for a simple removal when it’s time to take them off. Braces that are bonded directly to the teeth will be removed by slightly deforming the base of the bracket. When the bracket’s base is squeezed, the bond will release and the bracket will come right off. Sometimes when the bracket comes off, the separation will occur at the bracket-glue junction, which leaves adhesive on the tooth’s surface. This isn’t a bad thing though as it basically ensures that the tooth enamel will be undamaged. After the braces are completely taken off, the adhesive must be removed as well. To do this, we’ll typically use either a slow or high-speed dental handpiece. Although this is what’s used to repair a cavity, there won’t actually be any worries of your tooth structure being removed and you won’t even feel any pain during it either. While removing the braces and the adhesive may be painless, it’s also possible that your teeth may be sensitive to pressure. During the process, you may feel a bit of temporary discomfort. Your gums may be sensitive and inflamed afterward, but this isn’t anything to worry about; they should be back to normal in mere days. Visit Your Fulton, Fayetteville, and North Syracuse Orthodontist! If you’re interested in our Fulton, Fayetteville, and North Syracuse metal braces or Invisalign treatment, we encourage you to give us a call at (315) 458-0020. Alternatively, you can fill out our online appointment request form to schedule a visit with us. We look forward to helping you achieve an even more beautiful smile! At CFSS Orthodontics, we want to help each and every single one of our patients attain a straighter and healthier smile. To accomplish this, we’re proud to offer a wide variety of orthodontics, including metal braces, clear braces, and Invisalign. However, when it comes to having a healthier smile, it’s not purely about orthodontic treatments – it’s important to take care of your teeth as well. One of these ways we recommend taking care of your teeth is by wearing a mouthguard when you’re going to play sports. The American Dental Association suggests that approximately one-third of all dental injuries are sports-related. These dental injuries can include chipped teeth, broken teeth, fractured crowns, root damage to the teeth, and much more. When you’re playing sports, a mouthguard can help protect your teeth from dental injury and trauma. The usage of a mouthguard can actually prevent over 200,000 of these dental injuries that occur while playing sports each year. As an added bonus, mouthguards won’t only protect against these injuries, but they can also prevent some concussions as well. Now that spring is here and summer is just around the corner, there’s typically a rise in the amount of time spent playing sports with the potential for dental injuries: basketball, baseball, softball, football, soccer, and several others. If you’ve already spent the time and money to give yourself a straighter and healthier smile, it’s vital for you to wear a mouthguard while you’re playing any sports with the potential for physical contact. After all, you need to invest in your beautiful new smile! Contact Your Syracuse, Fayetteville, and Fulton Orthodontist! If you’re looking for orthodontics, such as Invisalign, metal braces, or clear braces, please feel free to fill out our online appointment request form or give us a call at (315) 458-0020. If you have any questions, comments, or concerns, we encourage you to get in touch with us. We look forward to hearing from you and helping you achieve an even more beautiful smile! Can clear, flexible aligners truly straighten teeth? With advancements in orthodontic technology, such as Invisalign, it is completely possible to straighten teeth with clear aligners. These Invisalign aligners are methodically planned out in a specific sequence and custom made for each individual. Teeth are moved as a result of forces being applied in a given desired direction. Invisalign can accomplish many more movements due to the infinite number of tooth contacts. With braces, the flex of the distorted wire as it returns to its original position is the force produced to move the teeth. Contrarily, with Invisalign, the force needed to move the teeth is produced by the flex of the malleable yet sturdy plastic over the teeth. Similar to metal braces, each Invisalign tray is only able to move the teeth a predetermined amount, so the greater movement needed to move the teeth, the greater number of trays needed. In the beginning phase of your treatment, your teeth will start at position 0. The next position of your teeth is predetermined by a computer and you will then receive tray #1. The rebound force in the trays will move the teeth to position #1 as the tray begins to mold the teeth. One to two weeks later, you will be given tray #2, which will flex around your teeth that have already been moved from position 0 to 1 and mold your teeth further to position 2. This exact process is repeated throughout your sequence of trays until the teeth have reached the desired position prescribed by your orthodontist. If the trays are fitting properly throughout this sequence, then the teeth will align in the proper position. Consequently, the patient is responsible for the amount of wear and the progression through the sequence. The teeth cannot move faster than their physiologic ability and that’s why it’s important to wear Invisalign as often as possible, or what is recommended by your orthodontist. Contact Your Local Top 1% Invisalign Provider Today! For questions or comments about Invisalign, we welcome you to request an appointment online or contact any of our three orthodontic offices: Fayetteville, Fulton and North Syracuse. As Top 1% providers of Invisalign, we treat more Invisalign patients than 99% of other Invisalign providers. Your local North Syracuse, Fulton and Fayetteville orthodontists can assure you that you will be provided with the best orthodontic care possible. We look forward to your visit! What Is an Invisalign® Elite Provider? Invisalign® is an affordable and discreet teeth-straightening appliance that is preferred by some over traditional metal braces. In addition to its low-profile appearance, Invisalign® is also desirable because it is removable and can be taken out of the mouth to eat and to clean the teeth. While all dental professionals who offer Invisalign® are trained in its usage, not all have the same level of experience or success. Patients who are interested in receiving top-level Invisalign® treatments in Syracuse or Fayetteville, NY, should look for an Invisalign® Elite Provider. In order to receive the “general provider” designation, dental professionals need only perform 10 treatments with the invisible appliances per year. Those who receive the coveted “elite” designation must perform at least 300 treatments per year. The top 1% of providers have performed 800 or more treatments in their lifetime and continue to perform at least 200 treatments per year. CFSS Braces is a top 1% Invisalign provider in Central New York and is highly-respected for their expertise. Patients who want peace of mind that their smiles are in good hands are encouraged to schedule a consultation with an Invisalign® Elite Provider. here to help with any hiccups that might occur along the way. Bad breath is a common problem for many Americans, and unfortunately, braces can sometimes make things worse. The metal brackets and wires of braces provide dozens of tiny nooks and crannies that are perfect for food, bacteria, and plaque to hide in and difficult to clean – a potent recipe for bad breath. Thankfully, though, there are some simple steps you can follow to alleviate bad breath. Bad breath is caused by bacteria and plaque buildup in your mouth. These bacterial biofilms release odorous gases as a natural part of their functioning, which can leave you with halitosis, or bad breath. Beating bad breath means getting rid of these bacteria, which takes a consistent, thorough oral hygiene regimen. The cornerstones of oral hygiene are brushing and flossing, but they'll only work with proper technique and daily use. With braces, you'll want to brush at least four times a day - once after each meal, and once before bed. If you're still encountering bad breath, you may want to start brushing even more frequently than that. When you do brush, make sure you're covering every part of your teeth, that you're angling the brush to reach under and behind brackets, and that you're brushing your tongue and the roof of your mouth. In addition to brushing, you'll need to floss, which will require the use of a floss threader to get the floss under your archwires. Be careful to scrape the sides of your teeth thoroughly while flossing, which will uproot any bacteria growing there, and make sure to move the floss around at the gumline to stimulate blood flow to the gums. If you're still having trouble with bad breath in spite of a good oral hygiene regimen (and assuming you haven't eaten much garlic recently), you may have chronic halitosis – which takes a professional solution. Feel free to give us a call at (315) 458-0020 or reach out to us at our contact page if you want to talk about your halitosis or your braces in general, and if you'd like to schedule an appointment with us, you can do so using our easy online form. Working together, we can get you great smelling breath – and a healthy smile to go with it to go with it! At Drs. Callahan Flanagan Smith & Stock Orthodontics, we provide patients of all ages with excellent orthodontic care using the latest types of braces and appliances. In order for an orthodontist to move teeth successfully, the patient must have a sufficient amount of tooth-supporting bone present in the jaw because orthodontic treatment works by gently moving teeth within the bone that supports them. Several factors can contribute to jawbone loss and deterioration which may require a bone graft. 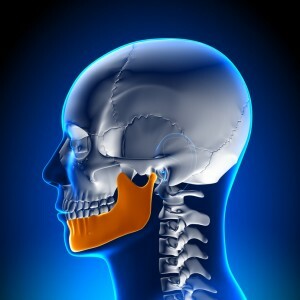 The following are common reasons that could result in jawbone deterioration. When an adult tooth is extracted and not replaced, the jawbone around that area will begin to deteriorate because there is no tooth present to stimulate the jawbone through activities like biting and chewing. The rate at which the bone deteriorates after a tooth is removed can vary considerably between one person and the next. However, most bone loss takes place within the first 1 ½ years following the extraction and continues throughout life. Gum disease that is not treated will gradually destroy the tooth-supporting periodontal tissues and jawbone will slowly deteriorate. This on-going deterioration of the bone can lead to the teeth loosening due to the extensive loss of bone. When a denture or dental bridge is used to replace one or more missing teeth, the restoration does not provide direct stimulation to the underlying bone because it sits on top of the gums. This lack of bone stimulation leads to the bone shrinking wherein a new restoration may be needed because the original no longer fits correctly. Teeth which are out of alignment could lead to a situation where a tooth no longer has an opposing tooth structure, allowing the unopposed tooth to over-erupt. When this happens, the bone underneath the tooth may begin to deteriorate. It is also common for misaligned teeth not to meet correctly which can interfere with their normal ability to chew. This results in improper stimulation of the underlying jawbone which can in turn lead to jawbone deterioration. Trauma such as a broken jaw or a knocked-out tooth can interfere with jawbone stimulation to result in the bone deteriorating. Osteomyelitis is a bacterial infection in the bone and marrow of the jaw. The infection results in inflammation which can reduce the flow of blood to the bone wherein the bone will deteriorate over time. While benign facial tumors may not be life-threatening, these types of tumors can grow large wherein a portion of the jaw would need to be removed. If a malignant tumor develops and spreads into the jaw, the affected section of the jawbone must be removed. Once the affected part of the bone is removed, reconstructive grafting is typically required to restore function to the jaw. When molars are extracted from the upper jaw, air pressure from the air cavity in the maxillary sinus causes resorption of the bone that had previously held the teeth in place. This results in the sinuses enlarging. This condition, which is called hyperpneumatized sinus, typically develops over a period of several years and may result in insufficient bone to make the patient a poor candidate for orthodontic treatment. Some conditions or syndromes known as birth defects are characterized by missing portions of the teeth, facial bones, jaw or skull. A patient with such a condition may be able to undergo a bone graft procedure to restore growth and function where it is absent. If you are interested in improving the health and appearance of your smile, we encourage you to schedule an appointment with us today. At your first visit with us, one of our orthodontists will provide you with a thorough examination to determine if you'd make a good candidate for orthodontic treatment. Orthodontics is a serious medical profession, but that doesn’t mean there isn’t time for some lighthearted fun. With a history that goes back a lot farther than you might think, the history of braces and orthodontics is filled with fun facts. Take a look below at what we have found. You will surely be surprised at some of the answers. When Were The First Braces Used? Although scholars and historians date braces back to the ancient times of Hippocrates and Aristotle, orthodontics can really be accredited to the French dentist Pierre Fauchard and his development of the first modern set of braces in 1728. What Did People Use Before Fauchard’s Braces? The first set of braces used base metals and catgut, cord derived from animal intestines, to stimulate the movement of teeth. Pierre Fouchard may be the father of modern orthodontics, but Edward Angle made significant improvements to braces with the invention of brackets in 1915. In 1928, he modified his design to the edgewise bracket, a system that was widely used up until 1970. How Many People Where Braces? In the United States alone, there is an estimated 4 million people that are wearing braces at this very moment! What was the most expensive set of braces? If you want to get fancy, travel to London and try and acquire “couture” braces for a measly $13,000. Don’t worry, that cost has long since dropped for the braces commonly referred to as lingual braces. 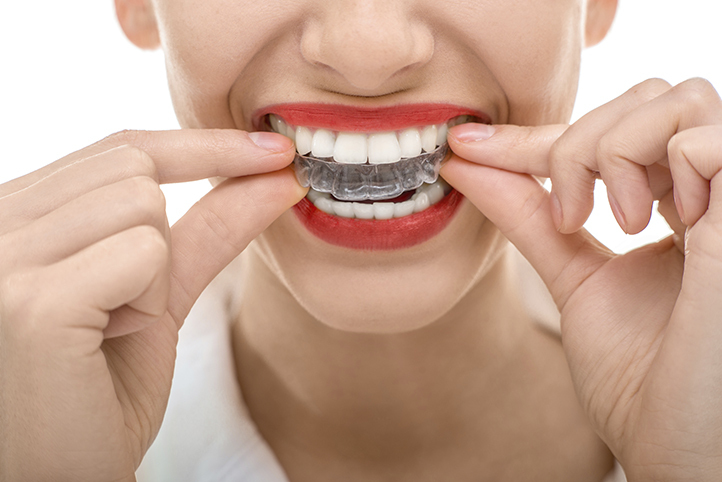 After years of people dealing with metal framework as the only solution to bad bites, Zia Chishti and Kelsey Wirth developed The Invisalign System in 1997. Where Can I Find An Invisalign Preferred Provider? CFS Braces! We are central New York’s only Invisalign Preferred Provider. After taking a step into the time machine, you can see that people have had an interest in perfecting their smiles for centuries. Over time, our intent to improve peoples smiles has never faded and the methods in which we are able to straighten patient’s teeth have drastically improved. If you would like to learn more about the advancements in orthodontics, schedule an appointment with CFS Braces and we will show you face to face! The internet has grown incredibly fast over the past decade or so, making it the “go to” place for finding all kinds of information from choosing a central New York orthodontist to deciding which coffee shop to visit while out and about. But along with all the convenience and good things the internet offers, there are also some not-so-good things about it including some do-it-yourself (DIY) information that's floating around out there about giving yourself orthodontic treatment. While it's hard to believe and even shocking, there are websites online which explain in detail via text, photos and videos how to straighten your own teeth using elastic hair ties or rubber bands. There are also videos on YouTube that show people using little elastics to basically tie their teeth together in order to move them. This information online makes DIY braces seem like a very easy thing to do and a cheap way to get the orthodontic treatment you need. But attempting to move your teeth yourself is a very bad idea because it can cause you some serious health problems if you try it. Here are a few reasons why you should never try DIY orthodontics. Trying to move your teeth yourself will leave you with very little to smile about. There is a high risk of infection by trying DIY braces as the rubber bands you use could disappear deep within the gum tissue to wreak havoc You can end up needing emergency oral surgery if this were to happen which is not only expensive, but risky as well. You could even end up losing your teeth altogether which is something nobody wants. Replacing lost teeth is not only expensive, but people with missing teeth often face multiple replacements over the course of their lives. An orthodontist has undergone additional training after completing dental school to learn how to safely and effectively align teeth. As a specialist in the field of orthodontics, your orthodontist has the knowledge and expertise needed to straighten teeth using safe and effective orthodontic techniques, procedures and appliances. When someone is trying to move their own teeth, there are so many things that could go wrong. The teeth are connected to the gums and the body's blood supply. If you were to get an infection in your mouth due to DIY braces, that infection could become so severe that it travels to other parts of your body to put your life in real danger. A lot of the DIY braces information online makes it seem as though the results would be great by moving your own teeth with rubber bands. But the truth is that you could never get good results by trying DIY orthodontics. Only a trained orthodontist knows how to obtain the optimal results when using appliances to move teeth.